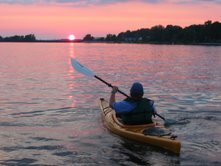 With all the water of the Pamlico Tar River Estuary system lapping at Washington’s banks, there’s plenty to paddling to be had. Recently, over 300 miles of paddle trails were mapped in the Pamlico River basin around Washington. With these trails, you can explore small creeks and tributaries in search of an osprey…or maybe even an eagle. 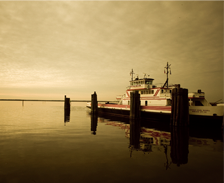 Or you can traverse the wide-open spaces of the Pamlico. 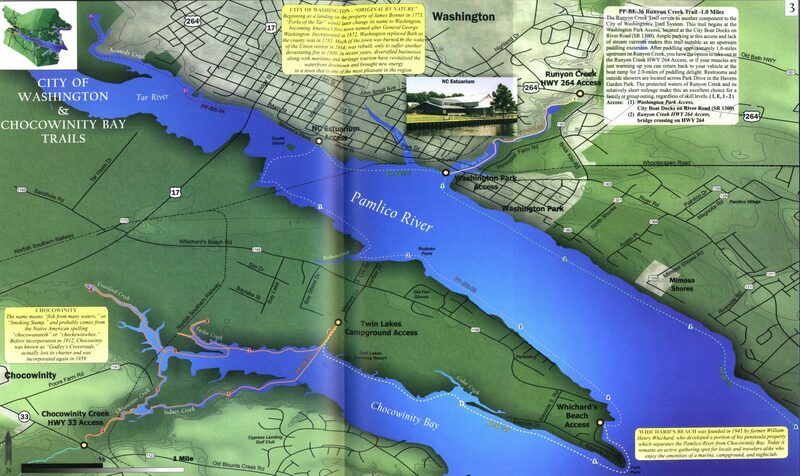 No matter your skill level, you’ll find a paddle trail to enjoy in Washington. Kayak rentals are available convenient to the Runyon Creek Boat Ramp from Inner Banks Outfitters. Goose Creek State Park also offers paddle trails and a kayak/canoe launch at Dinah’s Landing. Below, you can find descriptions and downloads of our favorite paddle trails marked according to the North Carolina Coastal Plain Paddle Trails Guide. The Blounts Creek Trail offers the paddler numerous opportunities in trip planning; in fact one can easily spend a weekend exploring the trails and terrain surrounding this beautiful and historical area of Beaufort county. The trail begins at the Herring Run Road Access on SR 1110, located at the headwaters of the creek. From the access, paddle northwest out the creek where you can enjoy the narrow upper waters of the creek. Take a leisurely side trip up Nancy Run and enjoy the solitude this natural setting provides. At the 2.75-mile point along the trail you will approach Cotton Patch Landing, a privately owned access with a minimal launching fee requested. Cotton Patch Landing offers cabins and rooms for rent as well, allowing you to stay in a rustic setting while enjoying the Blounts Creek Trail. This site provides a great central location to launch from, as numerous fishermen and boaters will most likely be joining you, for this section of creek offers and abundance of fishing pleasure and wildlife viewing. From Cotton Patch Landing disperse downstream and explore other options – the side trips up Little Creak, Yeats Creek, and Dupree Creek. Blounts Creek will begin to widen as you approach the mouth of the creek and the northern access at Mouth of the Creek Road. The Chocowinity Bay Trail begins at the boat ramp at the Twin Lakes Camping Resort, located at 1618 Memory Lane, off SR 1166 (Whichard’s Beach Road). The campground is a full service camping resort offering waterfront camping sites with beautiful views. 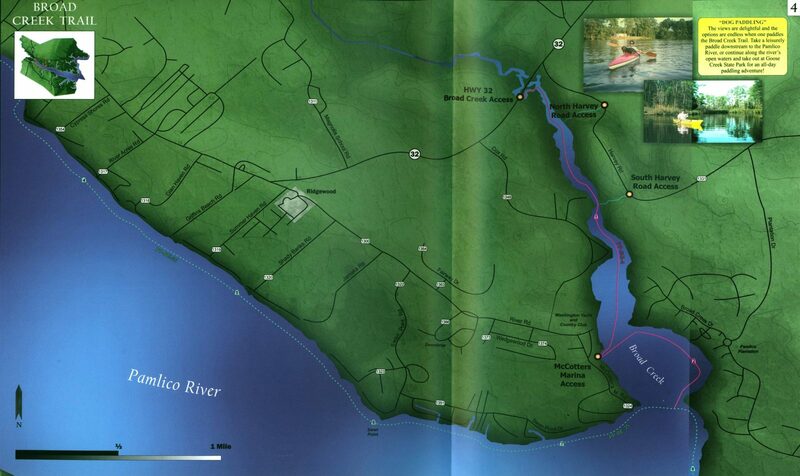 This is a great destinatino spot as one enjoys the paddle trails of Beaufort County. Group parking may be limited, please call the Resort at (252) 946-5700 to arrange accommodations and schedules or visit their website at www.twinlakes.com. From the boat ramp, paddle out the access canal into Chocowinity Bay. Once into the Bay, you have numerous paddling options as you may explore the protected waters of Sydney Creek, Taylor Creek, Chocowinity Creek, and Crawford Creek. It is approximately 0.25 miles across teh bay in open waters that can become quite choppy in strong winds. Once in the creeks of the Bay the waters are quite protected and can be enjoyed by paddlers of all experience levels. This can be a loop trail, or if you wish, you can take out at the Chocowinity Creek HWY 33 Access. Another option is for you to kayak the open waters of the Bay and take out at Whichard’s Beach or cross the Pamlico River to the NC Estuarium for take-out. The Bear Creek Trail begins at the Clarks Neck Road NC Wildlife Resources Commission Access on Clarks Neck Road at Mason’s Landing (SR 1567). It is a perfect destination for paddlers who like to add a fishing element to their paddling experience, as well as observe the abundant wildlife this loop trail has to offer. Leaving the boat ramp, paddle south out Tranters Creek towards the Tar River. 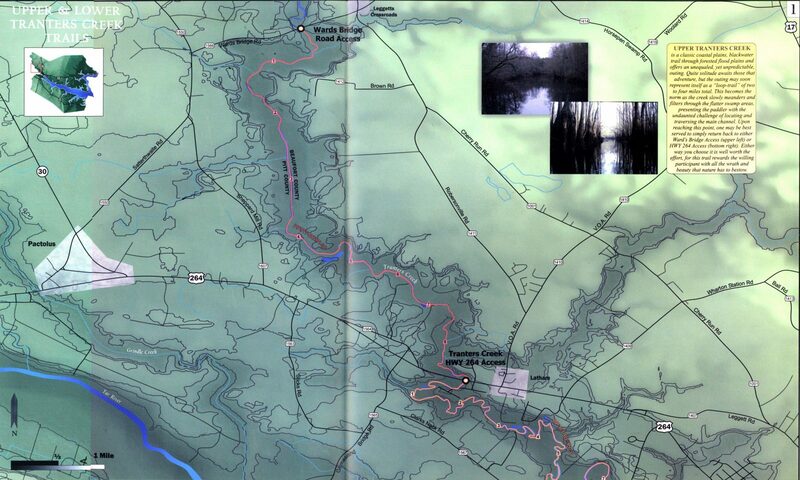 The trail will continue upstream of the Tar River as you paddle out the mouth of Tranters Creek. The short 0.75 mile upstream paddle brings you to the mouth of Bear Creek on the river’s southern shore, just past a small island. Continue up Bear Creek to the 3.5 mile point, where an active beaver dam limits upstream travel. To complete the trail, return to the NCWRC Access at Mason’s Landing. The Lower Tranters Creek Trail begins at the Tranters Creek HWY 264 Access west of Washington. The protected waters of Tranters Creek offer a diverse and pleasant paddling adventure for all paddlers, regardless of skill level. The trail intertwines among pristine natural areas of loblolly pines on high bluffs, as well as residential waterfront development. To follow the trail, launch at the HWY 264 bridge access and paddle south. Follow the creek for 10 miles to the Tranters Creek Resort and campground. This is a family oriented campground offering access to the deep waters of Tranters Creek; please call (252) 948 0850 to arrange parking accommodations prior to arrival, or email them at camp@tranterscreekresort.com. Approximately 1.5 miles farther downstream is a public take-out at the Clarks Neck Road NCWRC Access, Mason’s Landing, on SR 1567. Here you can choose to either take-out or continue 0.75 miles to the Tar River, where your options become endless. Head upstream of the Tar River and experience the Bear Creek Trail (6.0 miles loop trail) or follow the river’s northern shoreline downstream 3 more miles and enjoy the City of Washington’s peaceful waterfront. The Cherry Run Trail offers a short paddling adventure, as the headwaters of this trail soon become to o shallow to navigate. It offers an interesting and protected side-trip as one paddles the Lower Tranters Creek Trail, taking you back upstream towards US HWY 264 and its variety of altering landscapes. The trail begins at the Clarks Neck Road NCWRC Access at Mason’s Landing on the Clarks Neck Road (SR 1567) and follows Tranters Creek upstream for a short paddle to the mouth of Cherry Run. Paddle up Cherry Run to its headwaters for approximately 1.0 mile, where you will turn around and return to the boat ramp to complete the loop trail. The Broad Creek Trail offers numerous opportunities to enhance one’s paddling interests. With a variety of access points, one can easily make this trip fit your energy levels and time constraints. The trail itself is an interesting undertaking, offering a glimpse into a waterway that has much history in its making. Many adults have cherished memories of years well-spent within the summer homes along its banks and diving into its protected waters. You too can make your own memories as you paddle these tranquil waters! 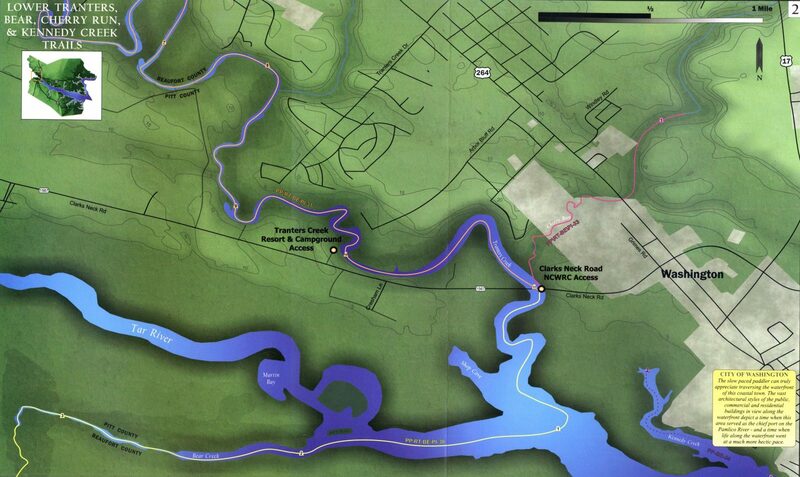 The trail’s upper end begins at the HWY 32 Broad Creek Access. Here you can choose to paddle upstream ofr a short trip before the creek becomes channelized and loses much of its natural state. 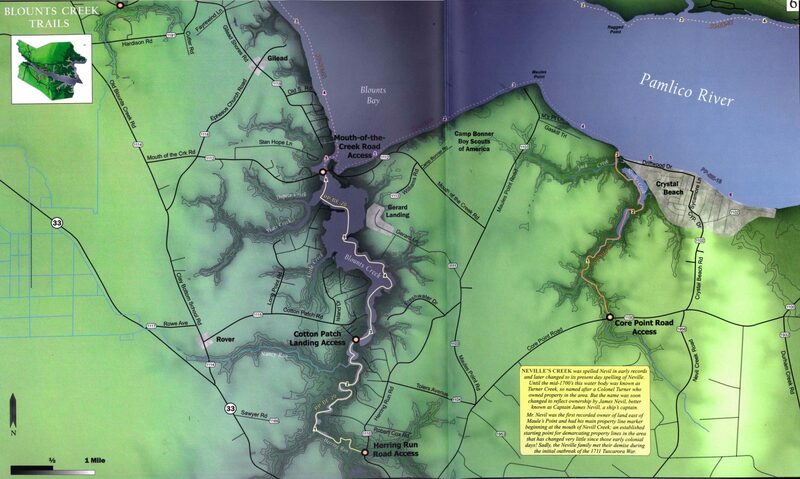 Whichever way you choose to go, your destination will eventually be downstream, past the numerous waterfront homes, toward the mouth of Broad Creek and its proximity to the Pamlico River. At the end of the trail, one paddles past the Washington Yacht and Country Club and Pamlico Plantation with all the beautiful sailboats and motorboats shored up at hte piers. Many a young person has walked these planks, dreaming of the day when one of these powerful watercrafts would have their name painted across the stern! The trail reaches the Pamlico River at the approximate 2.3 mile point, where you can take-out at the McCotter’s Marina Access. McCotter’s Marina offers both on-site and off-site kayak rentals to aid in your back creek paddling adventures. The Runyon Creek Trail Serves as another component to the City of Washington’s Trail System. This trail begins at the Washington Park Access, located at the City Boat Docks on River Road (SR 1300). Ample parking at this access and lack of stream currents makes this trail suitable as an upstream paddling excursion. After paddling approximately 1.0 miles upstream on Runyon Creek, you have the option to take-out at the Runyon Creek HWY 264 Access, or if your muscles are just warming up you can return back to your vehicle at the boat ramp for 2.0 miles for paddling delight. Restrooms and outside showers are located across Park Drive in the Havens Gardens Park. The protected waters of Runyon Creek and its relatively short mileage make this an excellent choice for a family or group outing, regardless of skill level.